The IPO Analyser provides data-driven analysis of risks and opportunities among Asian IPOs. 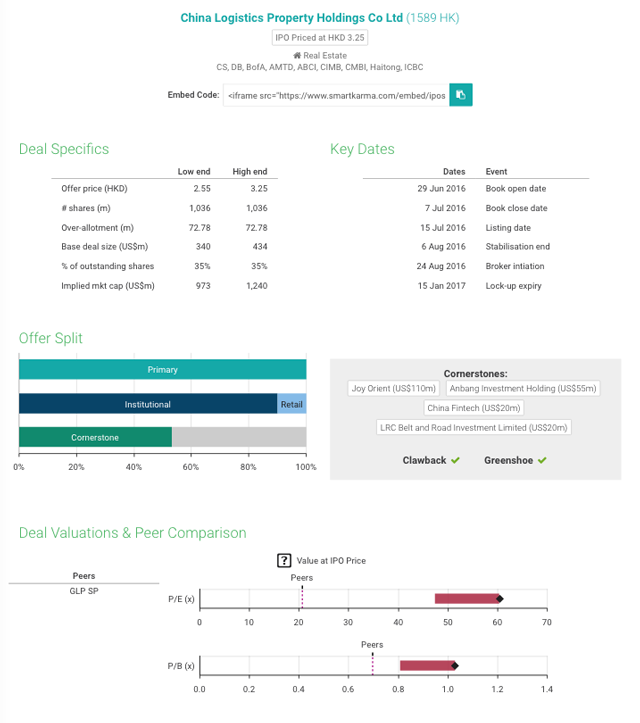 For each deal, it summarizes key aspects of the offering and provides updates of events linked to the IPO. 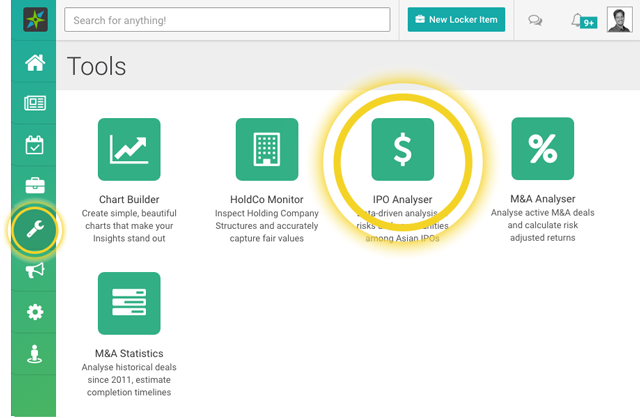 You can access the IPO Analyser in the Tools page.